Baahubali 2 Trailer: The Bahubali 2 movie official trailer has been released starring Prabhas, Rana Daggubati, and other lead star cast. The theatrical teaser video of the multilingual magnum opus by director SS Rajamouli will hit the theaters next month, April 2017. 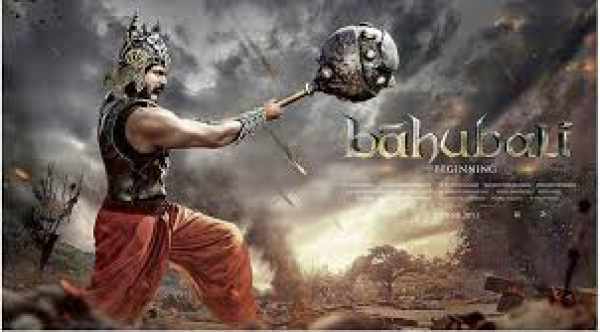 The upcoming film, Baahubali: The Conclusion is the sequel to the 2015 blockbuster movie Bahubali: The Beginning. It is one of the most anticipated films of 2017. The recently released trailer of Baahubali 2 is two minutes and twenty seconds long and wonderful to watch. The Bahubali 2 official trailer increases the curiosity of the audience and makes them impatient even more for the release. All the moviegoers are eagerly waiting for the next installment of the franchise. The makers have used amazing VFX in the clip and seem to be better than the prequel. Prabhas and Rana Daggubati are the highlights and steal the show with their mind-blowing action sequences. Like the previous flick, the fans and the audience are expecting some high voltage drama in the coming one to entertain them to the fullest. The posters for the movie were released some time ago. It appeared that the watchers would see some gruesome scenes on the battlefield in the film. And the movie Baahubali 2 trailer gave a glimpse of it. Check: Aa Gya Hero Budget. Bahubali says to Katappa in the video clip, “Tumhare hote hue, mujhe maarne waala paida Nahi Hua mama.” It leaves an impact on the Katappa. Finally, the audience will get to why Katappa killed Baahubali? It will end the 2-year long wait for everybody as all were waiting for the much-awaited answer. However, the director hasn’t let his team display the answer in the Baahubali 2 trailer. It turns out to be teasing audience more to come to theaters and find out themselves while watching it. The movie also stars Tamannaah Bhatia, Anushka Shetty, and Ramya Krishnan. The story is about an ancient kingdom’s battle between two brothers. The makers will release the film in four languages – Telugu, Tamil, Hindi, and Malayalam simultaneously. Baahubali 2 release date is already known to be April 28, 2017. Stay tuned to The Reporter Times for more news.